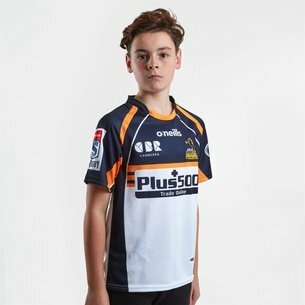 The Brumbies traditional colours are navy blue, white and gold whilst the team is named after the wild horses which inhabit Canberra's hinterland. 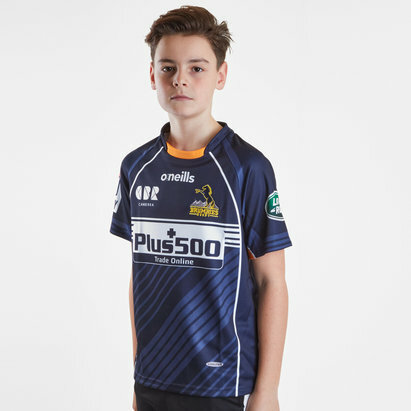 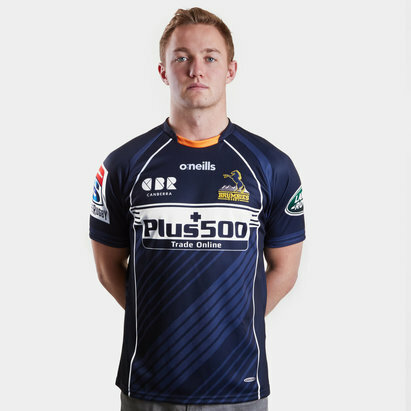 Brumbies kit manufacturer is the Irish International Sports Company O'Neills whilst their major sponsor is the international financial firm Plus500. 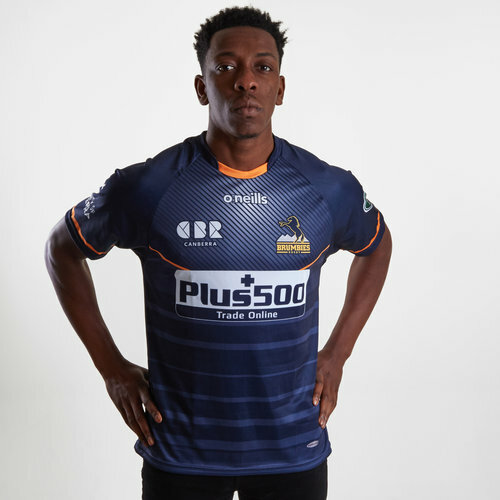 This training tee is sticking to tradition as it is navy with white and gold detailing though. 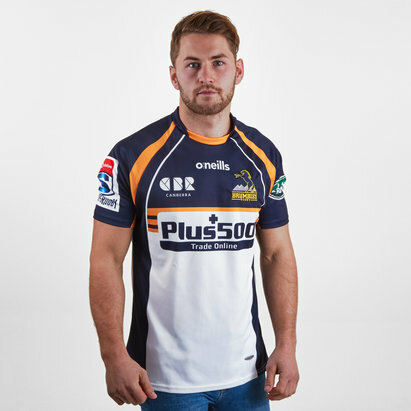 The team badge is on the left side of the chest whilst the ONeills logo is in the centre just under the collar. 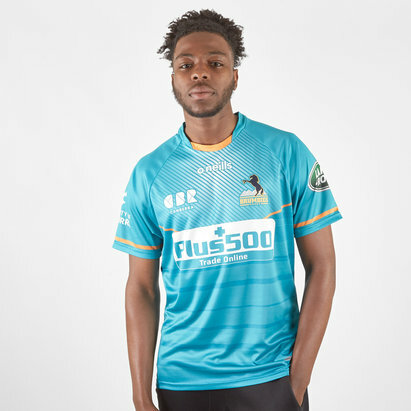 The sponsor is across the middle of the tee.